The Switch Mouse is the revolutionary mousing solution that brings unprecedented ergonomics to computer users. This groundbreaking peripheral device boosts comfort and reduces injury risks through a number of new innovations. Its V-shaped base and four-way scrolling dish complement a built-in palm support for exceptional user comfort. Plus, the Switch Mouse is the only mousing solution that accommodates both left- and right-handed users while adjusting to fit the size of virtually any adult hand. *The Switch Mouse driver is currently only available for Windows. 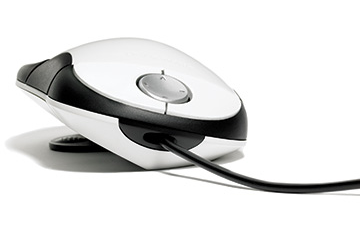 Mac users can use the Switch Mouse as a plug-and-play input device with standard mouse functionality including left/right buttons and up/down scrolling. Mac users will not be able to utilize side-to-side scrolling or the programmable buttons. 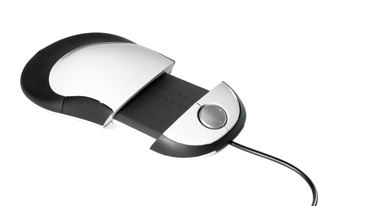 All other ergonomic features of the Switch Mouse can be utilized by both Mac and PC users. Can the Switch Mouse be used with a Mac? Yes, Mac users can enjoy the ergonomic benefits of the Switch Mouse. However, please note that the Switch Mouse is plug-and-play only on Macs. 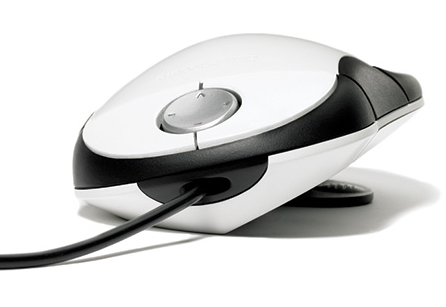 This removes two of the Switch Mouse's features: side-to-side scrolling of the navigation dish and programmable buttons for user-specified functions. Other ergnomic features remain unaffected. 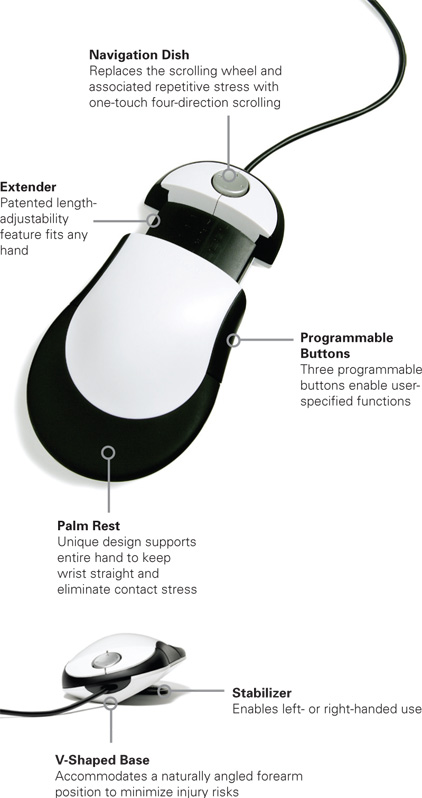 Mac users can still enjoy the benefits of the Switch Mouse's broad, symmetric V-shaped design, integrated palm support and adjustable length feature to encourage natural positioning while minimizing injury risk.